My choice didn’t win his breed, so I’ll choose the Yorkie, GCH Pastoral Hit The Jackpot to take Best in this Group. The only dog out of my original predictions to make it to Best in Group was the Pom, GCH Powerpom High Performance. Watch out for a possible upset win from this powerhouse. 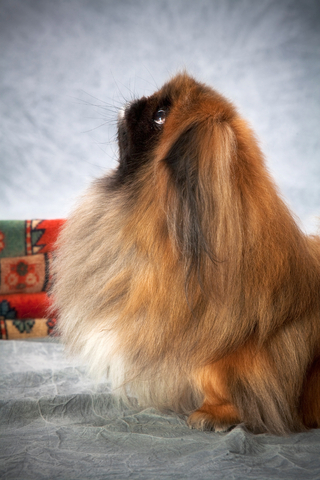 The Pekingese will advance to the Best in Show competition tomorrow night. Find the best dog breed for your family.